(News Investigators) /The Police authorities say about 15 persons were killed in Gusau local government area of Zamfara State on Monday by armed bandits while six women were kidnapped. Public Relations Officer of the command, Muhammad Shehu, made the confirmation in a statement in Gusau, Tuesday. 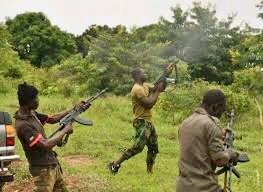 Mr. Shehu, a Superintendent Police officer, said that on Monday, there was an attack in Wonaka, Ajja, Mada, Ruwan Baure, Doka, Takoka and Tudun-Maijatau villages of Mada district in Gusau area.